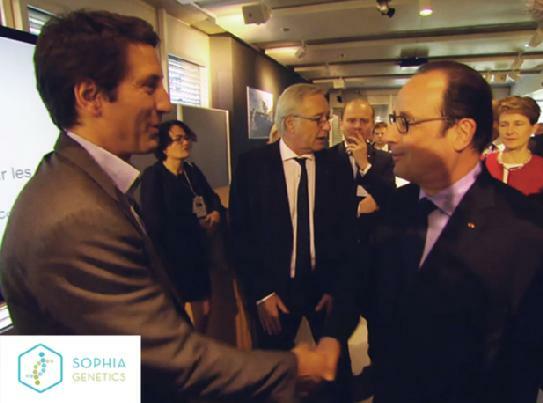 Klewel 2.0 | What is the link between Sophia Genetics and the President of France? As part of his official state visit to the Swiss Confederation, President François Hollande of France was briefed on April l6, 2015 by the CEO of Sophia Genetics, Jurgi Camblong, on the role that Data Driven Medicine is playing in improving patient outcomes in France and across Europe. Related blog post on Sophia Genetics website. Data Driven Medicine is about BIG DATA revolutionizing medicine. We hear a lot these days about Bio-Informatics and e-Health. Sophia Genetics is a typical example of successful application. 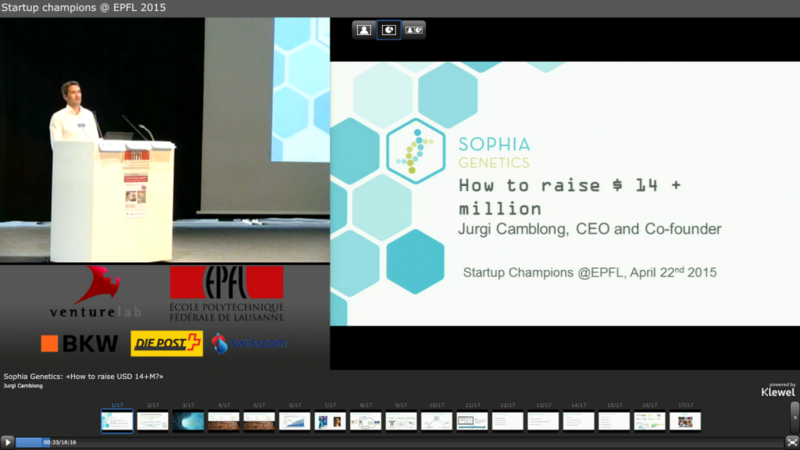 A few days after this visit, Jurgi Camblong, CEO of Sophia Genetics, made a presentation at the Start-up Champions 2015 EPFL event. Simply click on the image to play the video. This talk is about how Sophia Genetics evolved and about the experience of Jurgi Camblong as young entrepreneur. He concluded that the main driver of success according to him is about focus. Related article in French in the Tribune de Genève. The Swiss national team of Venture leaders 2015 was presented during that event. All the pitches are available on demand. Presentation of the start-up champions. 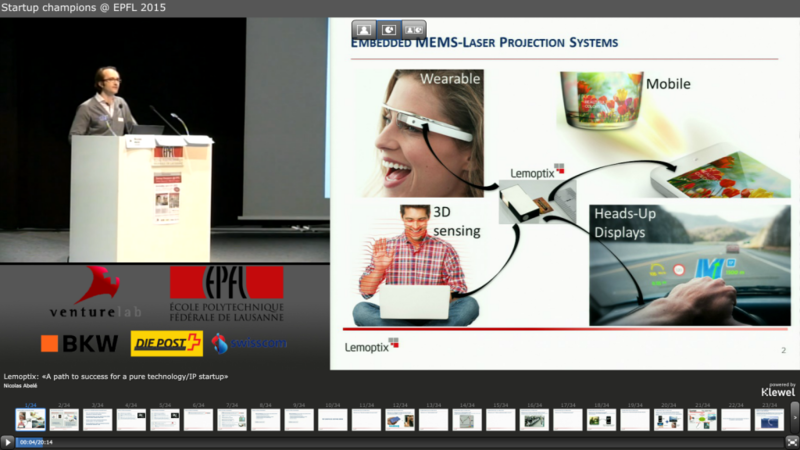 Klewel is partner of the EPFL Innovation Park as well as Venture Kick to webcast all the presentations. All public presentations are available online for free.